Saturday's Kraftin' Kimmie challenge #234 was to use distressing. 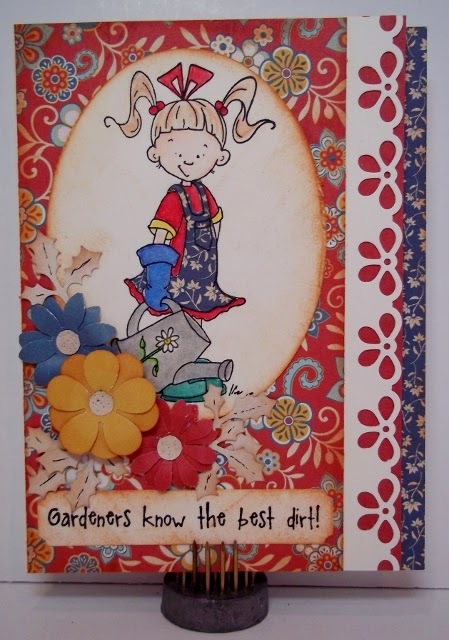 I began with the sketch from Tuesday Morning, added papers from Carta Bella Traditions 6x6 paper pad, and an adorable gardener from Kraftin' Kimmie Stamps. The edge was punched with an EK border punch. So cute! I LOVE her paper pieced apron. Really lovely card. I love the beautiful coloring and paper piecing of her dress! Good luck in the Kraftin’ Kimmie Stamps challenge. 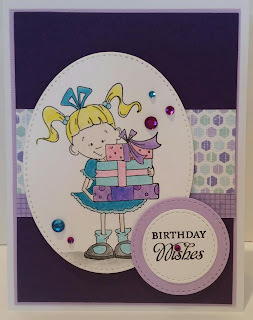 Don’t Forget…Kraftin’ Kimmie Stamps has a NEW challenge every Wednesday & Saturday…with awesome stamp giveaways and gift cards! That image is so adorable!! I love that pretty border! !